I don’t make my own lip balm and I am fine with that. Lip Balm? I’m expected to know how to make my own lip balm these days? Even if I knew how to make lip balm, I am never going to make my own lip balm. There are two reasons for this. First, as a mid-40’s full time working mom with homeschooling teenagers, there is simply no time. I can’t even make time for the hobbies I really enjoy let alone find time to make something that is to me a personal hygiene necessity. Secondly and most importantly, there are people way better at making lip balm than I could ever be. Sure, we can all learn to re-model our own houses, build dining rooms tables, concoct our own beauty supplies, and craft chandeliers from mason jars, but not all of us are gifted and talented in all things. When we think we have to do it ourselves we miss out on an opportunity to value someone else’s true gift. The idea behind a marketplace, an economy is that I have goods and services that other people need. Conversely others have goods and services I need. A marketplace is essentially a building block of a healthy community. It says we need each other. It says that together our community is stronger together. Purchasing goods can be a profoundly connectional experience. If I made my own lip balm, I deprive myself of the experience of going to the store and standing in the aisle, gaping at the wondrous varieties of lip balm. Someone invented all these. Someone, probably a chemist, mixed ingredients together to form something that will provide nourishment to my cracked lips. People who possess the gift of knowing what ingredients will be poisonous and which ones are safe. I will never be a chemist. However, I can take a moment to be grateful that chemists exist. The same thing applies to house painters, landscapers, plumbers, electricians. I happily pay for their services because they are experts at what they do. A good plumber’s worth is far above rubies. I think that’s in the bible somewhere. Most of us have become so jaded about the economy because we live in a Walmart driven world that prizes individual achievement and profit over the common good. Corporations are far removed from us. We have forgotten that an economy can be beautiful; dare I say it, even sacred. Instead of trying to live independently off the grid, maybe we should try to engage in the economy. We can work toward restoring a sense of interdependence and honoring other’s gifts and talents. That is in the bible – 1Corinthians 12 is all about living life as one body with many parts, learning to live together. I know my place in the economy. 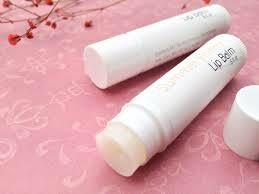 I am happy to buy your lip balm if you read my article.